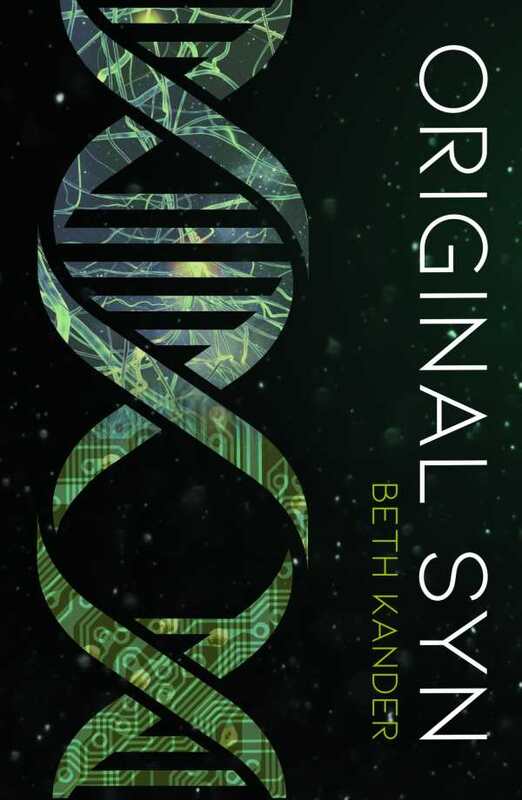 In the future of Beth Kander’s Original Syn, singularity has been achieved, leading to two branches of humanoids: Originals, who are deprived of technological enhancement; and Syns, enhanced humans who are physically ageless and connected to vast networks of knowledge. The two groups oppose each other in perpetual warfare, the origins of which have long been forgotten. With superior technology, the Syns are winning, while the Originals are ever-diminishing in number. Among the Originals, likable Ere and his older, handsomer cousin Cal are friends but also rivals. A scarcity of women poses a threat to the dreams of both young men as well as to the species itself. The story quickly shifts to beautiful Ever, a Syn whose age is frozen at seventeen, but whose hazy memories reach back decades earlier to a childhood that was abruptly and mysteriously truncated. The story unfolds in alternating chapters, quickly bringing the characters face-to-face, and building tension as the collision of the two species intensifies. Characters are utterly credible. For Ere and Cal, life is a hunt for mates, for drinkable water, and for still-wearable clothing. For inquisitive Ever, limits on personal freedom dull the experience of being alive. To visit the site of her childhood in search of answers to questions that haunt her, Ever must negotiate various gatekeepers and autocrats while hiding her curiosity beneath a compliant surface. The novel’s disparate worlds are revealed slowly, and the story is sophisticated enough to engage both adults and teens. The book maintains a taut pace to the end, concluding with a plot twist that turns the tables and stimulates interest in a second volume, soon to come.